Launched from the shipyard of Robert Napier and Company in Glasgow, Scotland, the HMS Viknor started her life as the RMS Atrato. Sailing under the flag of the Royal Mail Steam Packet Company and named for a town in Colombia, this luxury liner travelled between England and the West Indies. She could carry upwards of 280 passengers in comfort, and offered another link between Europe and the Americas. 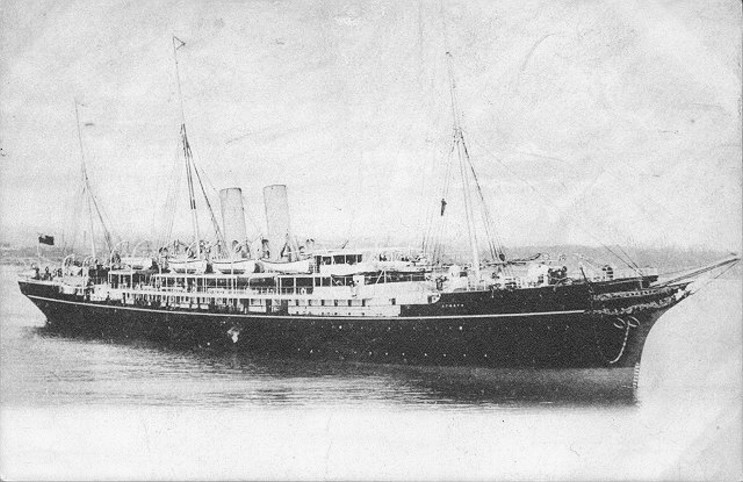 The RMS Atrato, before she became the HMS Viknor. In 1912, Viking Cruising Company Limited bought her, and her name was changed from Atrato to Viking. She continued to operate as a luxury liner, but war loomed on the horizon. With the outbreak of the First World War in 1914, she was requisitioned by the Royal Admiralty. Stripped of her finery and fittings, she was turned into an armed merchant cruisers. Guns were fitted to her decks and Naval Seamen and Reservists boarded the decks which has previously been strolled by passengers. The now HMS Viknor was assigned to the 10th Cruiser Squadron, patrolling the waters around Scotland and into the North Sea as part of the Northern Patrol. The Newfoundland Royal Naval Reserve was created at the turn of the century in response to the call for Newfoundland to have it's own armed defence. Trained at the HMS Calypso, these men were usually seasoned fishermen and merchant sailors who were used to life at sea. This meant they had the skills and know how that quickly earned them the reputation of being strong and hardworking. These men were scattered across numerous ships and trawlers throughout the Atlantic during the war, and were considered an asset to every ship they served on. 25 of those Reservists called the HMS Viknor home. On January 13, 1915, the Viknor was on patrol off the coast of Ireland, with a crew of 295 on board. Seaman Henry W. Peach, #901X, was one of the Newfoundlanders that made up her crew. The 25-year-old was from Arnold's Cove, Placentia Bay, and was one of the few married men in the Reserves. His wife, Elsie May, and his small infant son, had been left back in Newfoundland when he had sailed out late in 1914. Unfortunately, none of these sailors would make it back home. A storm came up and the ship faced heavy seas. It is thought that as a result of this weather, she came too close to the edge of a minefield that had been freshly laid by the German, and she sank with all hands lost off the shore of Tory Island. No distress call was ever made. Bodies and wreckage began to wash up along the shore in the coming weeks, and eventually all but 24 bodies were recovered. The names of the Newfoundlanders who were lost can be found inscribed on the Beaumont-Hamel Memorial in France, and the bodies of those who were recovered were buried in cemeteries near where they were found. Henry W. Peach's body was one of the ones that were never recovered. His name was placed on the Beaumont-Hamel Memorial, but his relatives left back home wanted to commemorate him on local soil. A small memorial that stands in Arnold's Cove has his name inscribed on the side, along with the name of the ship that went down under his feet. The name HMS Viknor will very rarely ring a bell for most people. 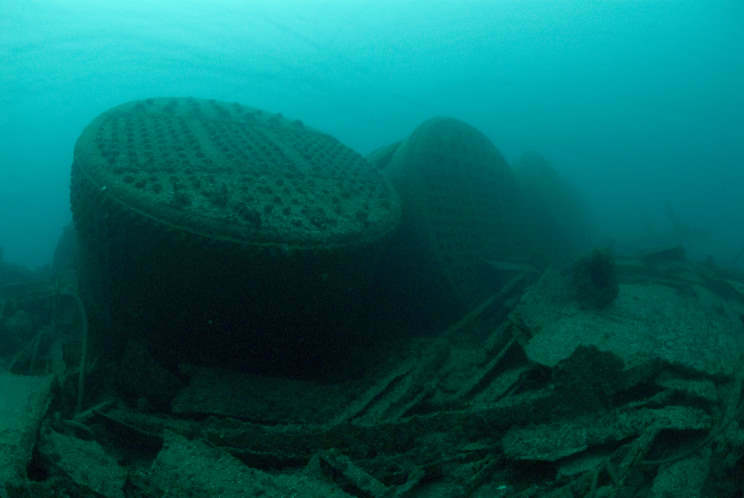 She was one of many, many ships that sank during the First World War, and her story isn't one that tends to be written about. Most people know about the HMS Dreadnaught, the HMT Olympic, her sister ship HMHS Britannic, the RMS Mauritania, and other vessels of that calibre. They were involved in large battles or were considered catastrophic losses (as with the Brittanic). The Viknor is notable for another reason, one that hits closer to home. With a reserve force that was spread out across numerous ships across thousands of kilometres of ocean, the Newfoundland Royal Naval Reserve rarely had a concentration of sailors on one vessel. The Viknor was unique in that regard, and unfortunately what makes her most notable is the loss of Newfoundland lives. This hit hard with people back home, and the blow was made worse when a month later, the HMS Clan McNaughton went down, also in heavy seas, and took with her another 23 Newfoundlanders. The Newfoundland Royal Naval Reserve lost many fine men during the four years of the First World War, and those men, like Henry W. Peach, should always be remembered. Images this week from here.